After more than a decade of traveling on the road of educational innovation, the leadership of the Department of Education Aruba (DEA) identified the need for a national plan that would articulate a unified direction and bring about coherence among the various ongoing innovation efforts. Though there had been a plan for restructuring the educational system since 1988 (SHO-nota), it was no longer reflective of the new realities of the 21st century. 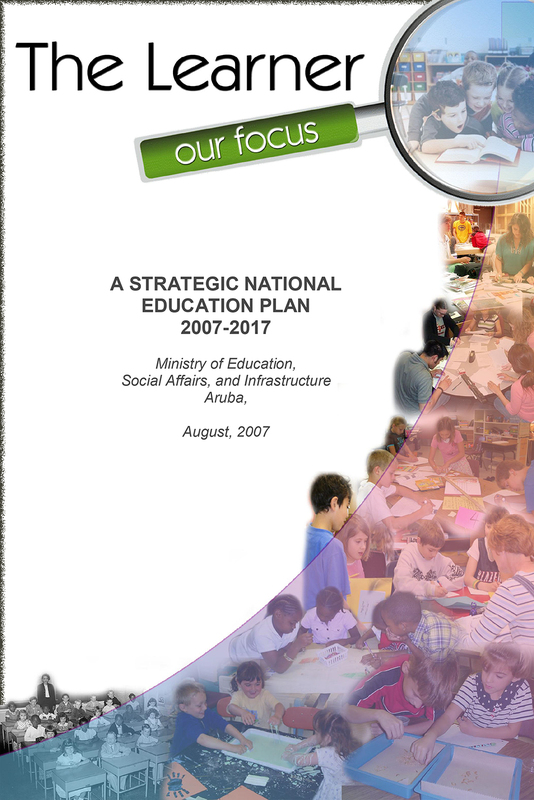 A new national educational plan was deemed necessary that would reflect the issues of the time and create a new vision of a desired future. In late 2005, the newly elected Minister of Education, Social Affairs and Infrastructure, mrs. drs. Marisol Lopez-Tromp, supported this identified need by initiating a participatory strategic planning process to create a national education plan – the first of its kind in the history of Aruba’s education.